1918, a year when the standards of work outerwear drastically rose. A year when the well-known and loved brand, Timberland, made its mark. When you think of Timberland, you think of quality work clothes that are dependable, comfortable, and strong. That's why you n ... (see full details) (see specifications) #TB0A111W015. 1918, a year when the standards of work outerwear drastically rose. A year when the well-known and loved brand, Timberland, made its mark. When you think of Timberland, you think of quality work clothes that are dependable, comfortable, and strong. That's why you need the Timberland PRO Men's TB0A111W 015 Wicking Good Jet Black Short-Sleeve T-Shirt - because it has your back, literally. Designed with 100% polyester knit and 100% polyester mesh side panels, this Timberland PRO shirt is lightweight and breathable. The fabric is constructed to be moisture-wicking to draw sweat and perspiration away from your body to help keep you cool and comfortable. In addition to moisture-wicking, this men's tee is also odor-resistant and fast-drying. We know your skin needs to be protected, so that's why this short-sleeve workwear provides you with sun protection by preventing the transmission of ultraviolet rays with 50+ UPF protection. Built to incorporate flatlock seams for chafe-free comfort and a tagless neck label to prevent neck irritation, this men's shirt gives you premium comfort. To ensure this offers durability, simply wash it with similar colors in cold water and tumble dry on low. This work tee is designed in the popular color jet black to go with just about any wardrobe or work dress code. Put this Timberland PRO Men's TB0A111W 015 Wicking Good Short-Sleeve Jet Black T-Shirt to the test today and feel decades of expertise. Order your favorite outerwear from Working Person’s Store today. I would recommend this shirt for work to anybody. Feel it is the most comfortable form-fitting shirt get this shirt you cannot go wrong with this product it is the best it is so comfortable you will not be disappointed. 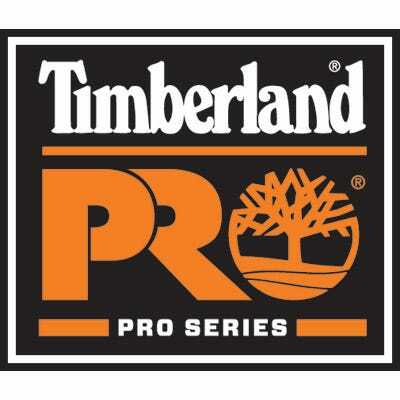 Timberland PRO Shirts: Men's TB0A111W 015 Black Short-Sleeve Wicking Good T-Shirt is being added to your cart.